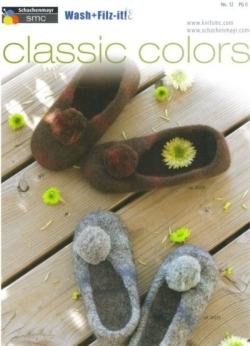 Pattern for knitting and felting ballerina slippers with pompom, using medium-weight Wash + Filz it! yarns. You will need 150g yarn. Pattern sizes range from Continental size 22 to 47. Pattern instructions are in English, German, French and Belgian.